Rhode Island environmental advocates are previewing the issues they’ll be pushing for during this legislative session. Every year, the nonprofit Environment Council of Rhode Island (ECRI) lists the topics they hope lawmakers will focus on. One of the top priorities for 2019 is a series of climate change-related bills, including the Global Warming Solutions Act (a bill that has already been passed in Massachusetts). Meg Kerr, ECRI president, said the state’s greenhouse gas reduction targets in the 2014 Resilient Rhode Island Act aren’t mandatory to meet, which she said is a problem since addressing climate change is becoming more urgent. "The Global Warming Solutions Act, if it passes, would make (the targets) economy-wide and enforceable and mandatory, which would really up the ante on doing the reductions that we’re already doing,” Kerr said. After several years of advocacy work, ECRI is hoping state lawmakers will finally pass a statewide ban on single-use plastic bags. If you’ve ever walked down a city block, you’ve probably seen a plastic bag blowing in the wind or tangled up in tree branches. ECRI wants that sight to be a thing of the past, and the group thinks the best way to do it is to ban businesses from distributing them. Kerr added the bags pollute our waterways and threaten marine life, and hopes this year, lawmakers can come up with a policy solution. ECRI is also hoping the state legislature will pass bills resolving local solar energy issues. Kerr said the group has worked with the Rhode Island Office of Energy Resources to address the expansion of solar panel farms into untouched land. "We’ve been trying to develop consensus on policies that will drive renewable energy projects into already developed areas and stop cutting down forests to put up solar projects," she said. ECRI will be pushing for a bill that includes incentives to build solar projects on previously disturbed or developed land. The council will also advocate for a tax on carbon pollution, a ban on using per and polyfluoroalkyl chemicals in food packaging, and for state lawmakers to strengthen the Department of Environmental Management and Coastal Resources Management Council's enforcement capacity. 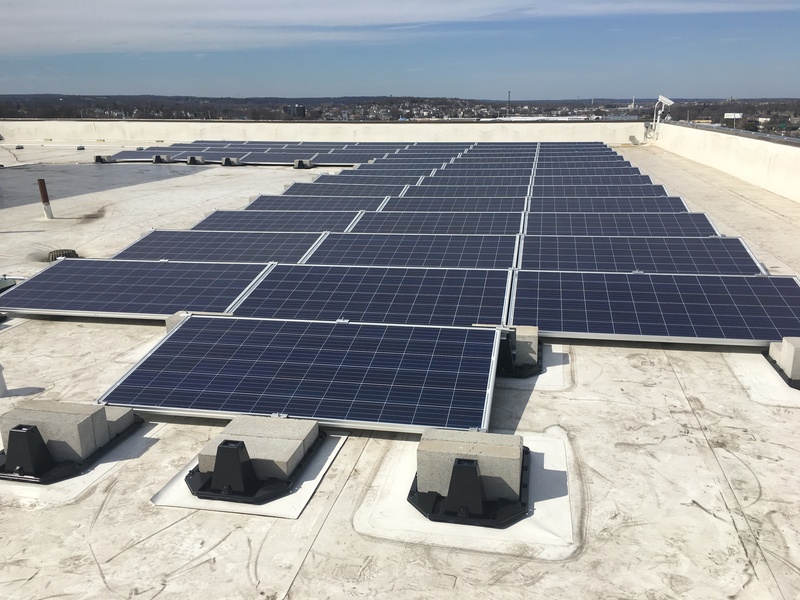 Solar panels on top of the RI Department of Administration building. The siting of solar projects is just one issue ECRI will be fighting to resolve this legislative session.